Some of our readers may not be familiar with Frank Ocean’s music, but I’m sure there are more than a few of you who have heard his name. The left-field R&B star rose to prominence with west coast rap collective Odd Future (RIP) and gained even more attention with the release of his debut mixtape nostalgia, ULTRA. He then followed it up with the Grammy Award-winning channel ORANGE which gained him an even greater audience and gave fans a deeper understanding of who he was as an artist. He stayed silent on the album front for years, only showing up through social media posts and the occasional guest spot. The internet speculated endlessly on when he would release new music, with Frank rarely playing into the hype. On occasion he would drop hints that something was coming, but he never outright confirmed any of the speculation. There were some dates that the tentatively titled Boys Don’t Cry was supposed to release, but they came and went without so much as a peep from Frank. Many people were losing hope that anything would be released, when all of a sudden he released a visual album called Endless and the day after released the entreé that everyone was salivating for – Blonde – with Endless supposedly being b-sides from Blonde. 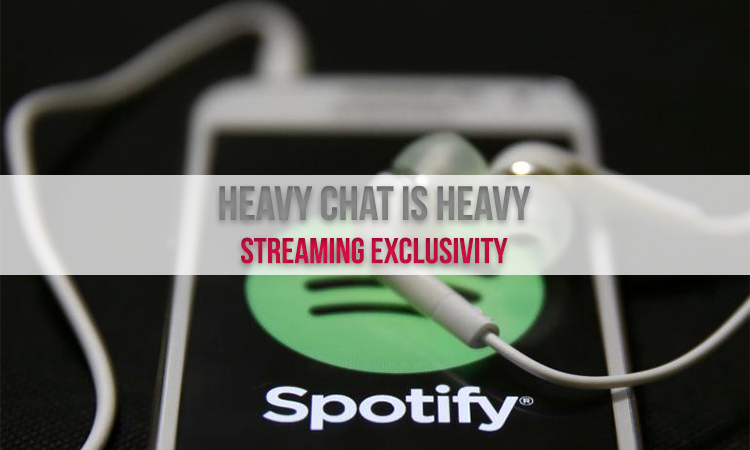 Staff writers Ahmed Hasan and Ryan Castrati have decided to focus solely on the latter for an album discussion that seems appropriate for such a highly anticipated full-length. Ahmed Hasan: Ryan, do you want to start off with your first impressions of Blonde? Ryan Castrati: Upon initial listen, I liked bits and pieces of what I had heard, but wasn’t sure what to make of the work as a whole. Blonde wasn’t as immediately as engaging as channel ORANGE, at least not for me. One thing I will say is that even though I was unsure of how I felt, I trusted Frank enough as an artist to show me what he was trying to do through repeat listens of the album. It wasn’t a record I was willing to give up on because I knew that there was something more to be found within. AH: I definitely felt the same about it – Blonde lacks a certain accessibility that channel ORANGE brought in spades, but this immediately came across as a carefully planned decision on Frank’s part. I came out of my first listen feeling somewhat underwhelmed, to be completely honest, but also convinced that the album was a lot deeper than it initially appeared to be. Can I ask why you found it less engaging than channel ORANGE? RC: In response to the question, me saying that channel ORANGE was more immediately engaging may just have be tied to when the album hit my ears. Nostalgia,ULTRA is one of my favorite mixtapes of all time and I used to listen to it constantly. I had also been listening to ‘Thinkin’ ‘Bout You” obsessively since Frank had posted it on his Tumblr (Maybe Tyler’s Tumblr?) stating that it probably wouldn’t end up anywhere. When channel ORANGE dropped I was all ears and ready to absorb every single song carefully. I didn’t know what to really expect when I went into Blonde and I always seemed to get interrupted when I would start listening to it, so I may not have been as attentive as the album needed me to be. AH: Ah, that’s understandable, considering this is definitely an album that demands more attention on the part of the listener. I found that it’s a lot more subtle than channel ORANGE throughout, with “Pink + White” and “Pretty Sweet” being the only tracks that came across otherwise, which is something I didn’t see that coming one bit. Thing is, I more or less walked on in with the expectation that it wouldn’t be too much different from channel ORANGE, whose diverse instrumentation and comparatively more beat-heavy tracks meant that it made for a much easier-to-digest listen overall, and consequently I did not give Blonde the intensive listen it probably deserved right then. It’s grown on me a lot since, however, especially once I got to wrapping my head around the general theme and aesthetic of the record, as different as it was from those of its predecessor. But that’s enough of initial impressions: what are your thoughts on it now, after it’s settled a bit? Which tracks would you consider favourites and why? RC: After those repeat listens that I mentioned earlier, I am in love with the record. It’s not as accessible as channel ORANGE on the surface, but when I gave Blonde enough time and attention it began to unfold so I could start unpacking gems. I really love thirteen of the album’s seventeen songs. The rest I like enough, but there’s just something about those thirteen that really hit me. I would say my top tracks are “Pink+White,” “Nights,” “White Ferrari,” and “Siegfried.” “Pink+White” is intimate, yet very lush and expansive at the same time. When the track starts to really kick up and Beyoncé comes in I just get lost in so gorgeous everything is. “Nights” starts off large and gradually gets more compact and withdrawn, which I think works very well. “White Ferrari” breaks my heart every time I hear it and is probably one of Frank’s most moving songs if not the most moving. Finally, “Siegfried” shows Frank at his most raw, putting every bit of himself on the table for the listener, plus it has one of my favorite lines on the record, “Been living in an idea, an idea from another man’s mind.” It hits me like a freight train every time I hear it. AH: Seems our top 4 picks are only off by one! I would swap out “Nights” for “Ivy”, but otherwise it seems we’re on the same page as far as that goes. Though I particularly agree with you on “Siegfried” being Frank at his most raw, and that’s already within the context of an album that seems to be deeply personal at levels its predecessor did not quite reach. AH: And that leads me to my next point, which is that in turning entirely towards the personal, Frank seems to have completely abandoned the storytelling that was such an integral part of channel ORANGE. You had stories such as the hedonistic lifestyles described in “Super Rich Kids” and “Pyramids” describing a man’s relationship with his ‘Cleopatra’ in two parallel tales thousands of years apart, all interspersed between otherwise fairly personal songs. 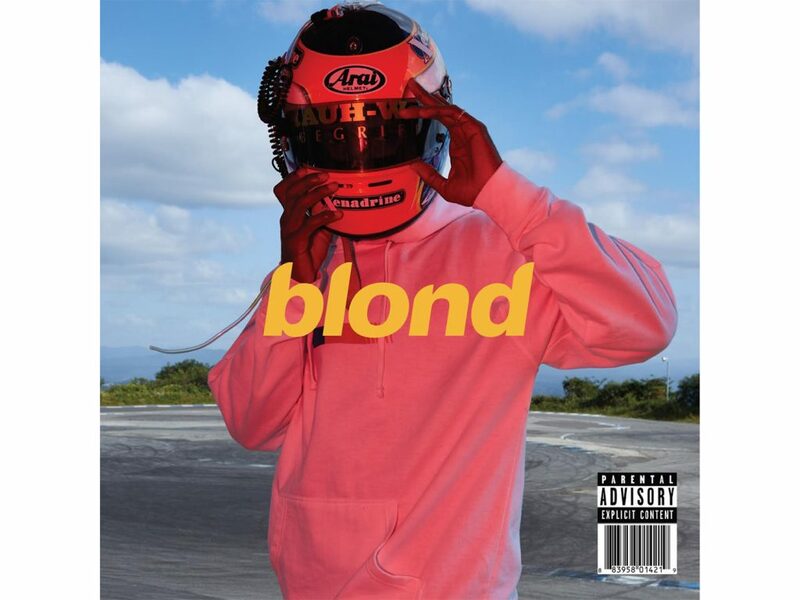 Blonde, on the other hand, seems to be very intensely about Frank from start to finish – relationships, heartbreak, and the lessons he’s learned along the way, right down to the man himself appearing on the album’s art. What are your thoughts on that? RC: I thought it was a very bold move on Frank’s part to abandon the fairly linear storytelling that dominated channel ORANGE for the more puzzling, contemplative lyrical content that appears on Blonde. It definitely has me going back to songs more just to see if I can deduce what event/idea he’s trying to communicate to us as the listeners. I think it also speaks to just how comfortable Frank is with making the record more about himself this time around. He’s at ease enough to talk about the events in his life, but not yet comfortable enough to speak plainly about himself or his experiences. 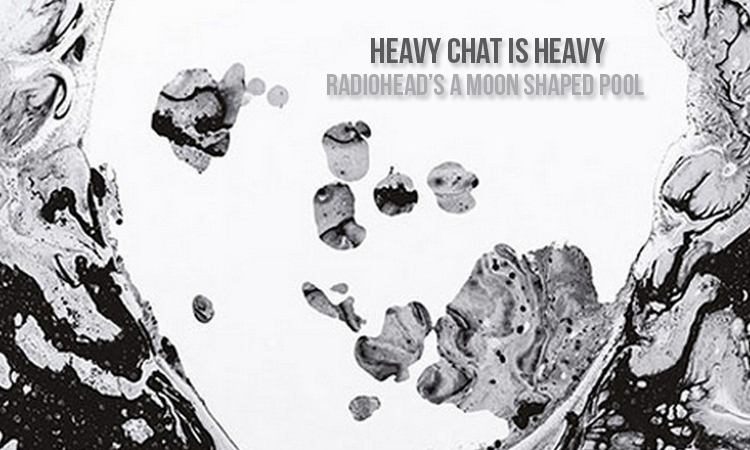 I definitely don’t think the record suffers from it and that it actually adds another layer of depth for the listener. AH: I certainly agree that it was a bold move, but to be honest I didn’t particularly enjoy the change. Of course, it’s definitely good to see Frank opening up into his music more, since that lends so much more emotional depth to what’s on the album – but (and I fully admit this is a gripe based off something very subjective in nature) I just found Frank to be such a stellar storyteller on channel ORANGE that I was somewhat dismayed by that not being a thing at all here. The story on “Bad Religion” for instance, with Frank talking religion in the backseat of a cab, was filled with such fantastic imagery, as were “Crack Rock”, “Pilot Jones”, and so on. To reiterate: I do like the new album for what it is, and I understand that he chose to be somewhat cryptic in talking about some of his personal experiences. But I just really liked his ability to tell such fleshed-out stories in a comparatively easy-to-understand manner, as well as the fact that he could pull out a mean twist too (i.e. the ending of “Pyramids”). Of course, that’s just one of the handful of gripes I had with the album, but it’s definitely a big one for me. RC: I understand where you’re coming from. One of my favorite parts of channel ORANGE was Frank’s ability to tell a riveting story. I think he flexes those musicals throughout Blonde by penning vivid characters and painting vivid images with the music, but it’s on a level that is far more understated than the fully fleshed out tales we were used to hearing before. It is something I miss, regardless of how okay I am with the lyrical direction on Blonde. Also, since you mentioned gripes, I have one in particular. Some of the skits are not very good, specifically “Facebook Story” and the end of “Futura Free.” “Facebook Story” is one of the most annoying tales I think I’ve ever heard (dude, just accept your girlfriend of three years on Facebook and shut up) and the end of “Futura Free” is just interviews with friends/family that are so clouded in static that you can barely make them out. I love the little keyboard melody that backs them and I don’t mind “Be Yourself” or the one at the end of “Good Guy,” but the two sections I mentioned previously just seem either aggravating or pointless. AH: Agreed! I found the skits/interludes on channel ORANGE to make a lot more sense in the context of the album, whereas these generally didn’t do it for me. While “Be Yourself” primes the lyrical content of “Solo” fairly well, much like “Not Just Money” linked “Sweet Life” and “Super Rich Kids”, I didn’t find “Facebook Story” to be that great a transitionary bit at all. I think “Futura Free” is somewhat redeemed by what a stellar track it is before the interviews set in, but after the first listen I wasn’t too impressed by what that outro was trying to achieve either. RC: I agree that the skits on channel ORANGE seemed much more consequential/impactful. I definitely like the first half of “Futura Free” but I was excited to hear a killer nine minute track, rather than a killer track that ended long before the runtime did. AH: Though, the understated lyrical imagery aside, I find Blonde to be a little too on the minimalist, ambient side as a whole, and the almost complete lack of live drums only furthers that. Even considering it in a vacuum for a moment, without factoring in any impressions that may have stemmed from channel ORANGE, it seems to pick up momentum right up till the ethereal outro of “Pink + White” and then just kind of… simmers back down again, only to stay that way for almost the entire album. It definitely seems very intentional, and I understand what he’s trying to do here artistically (especially considering how personal the album is) but I find that that left me having to go through the album in doses rather than in one continuous listen, since the energy drops off really early on and then just kind of plateaus. Ultimately, there is a wealth of great things – and endlessly quotable lines – in the lyrical end of this album, but I do wish the instrumental end had a little more to offer. Thoughts? RC: I think the album does suffer a bit for just how long it simmers for. Like you said, taking the album in doses was probably the easiest way to digest it because it stays on one speed for almost the entire duration. I saw a lot of people call the album tedious because of that, but I think our feelings on this and declaring the album tedious are more of a reflection of how we process music and listen to it rather than a fault on the part of the artist. It may diminish the quality of the record to us, but there are no doubt people who love how this record continuously smolders. We just have to find more things that we like about it vs. people who are completely onboard with the minimal instrumentation/slow pacing. AH: Absolutely, and that’s a great point. This is an album that demands a whole lot of processing and dissecting, so perhaps we just haven’t gotten to quite the level it demands. But at the same time, every time I throw on nostalgia,ULTRA or channel ORANGE, both make for significantly easier and arguably more enjoyable listens, even past the obvious familiarity. Blonde ultimately remains a challenging album, and I find my thoughts on it are constantly evolving, but it’s objectively very well crafted and an incredibly heartfelt emotional statement on Frank’s part – more so than anything he’s done before, I would argue. Just perhaps not the album most people were expecting. RC: Frank could never live up to the expectations that people had for Blonde. With that being said, I think he handled it with aplomb. He took his time and gave us a product that was more than just an R&B album we could throw on when we were trying to get intimate with someone and delivered a piece of art that we as listeners could be intimate with. It’s a record that does not give of itself without effort, but when you really sit down and get to know it, it’s one that you can’t stop thinking about even if those thoughts are not always ones that we are ready to accept or understand. There’s another pretty hefty wrinkle to the discussion about Blonde and its release that we did not touch upon here, which is in just how it was released – exclusively on Apple Music – and the fallout from that on all levels. Other members of the Heavy Blog staff will be picking up that part of the conversation sometime soon, so keep your eyes out for that!